San Francisco, March 23rd Trailing its international release, the mobile version of PlayerUnknown's Battlegrounds claims the most downloaded spot in over 100 countries and areas. 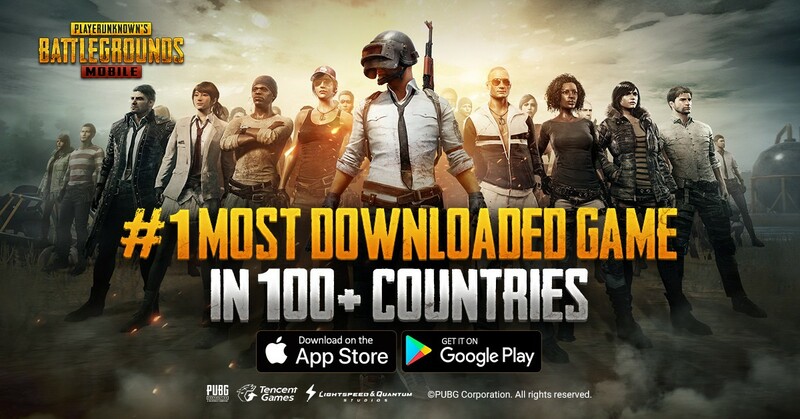 It only took PUBG MOBILE less than a week to become one of the fastest games to reach number 1 in downloads in over 100 countries and areas. The widely popular Battle Royale released its mobile port on the App Store and Google Play Store internationally on March 19th and was met with an increasingly positive reaction from players and critics alike. PlayerUnknown's Battlegrounds’ full-featured mobile port of the massively popular Battle Royale title has led it to claim top honors in a large number of countries and areas. Players remain impressed by the mobile game's seamless and intuitive integration, all while remaining faithful to its PC roots. PUBG Corporation and Tencent worked in tandem to create an authentic and satisfying PUBG experience on what has become the most accessible platform. Providing a well-optimized experience for all players remains a core value for the developers as they continue to release the handheld rendition of the popular Battle Royale game. PUBG MOBILE can be downloaded for free on the App Store and Play Store now.